Android is the mobile operating system from Google. It’s used on smart phones, tablets and other mobile devices. Google provides an open environment different from Apple’s closed environment. This means that there are more apps (applications) available to Android users because the Android developers have fewer restrictions put upon them. At this point in time, there are many apps in the Google Play app store to use as parental control software. Additionally, every phone is configured differently by the service provider and tablets vary by manufacturer. However, there still are ways to protect family members within the operating system. Below are the steps in detail describing how to do them and also why they are recommended. 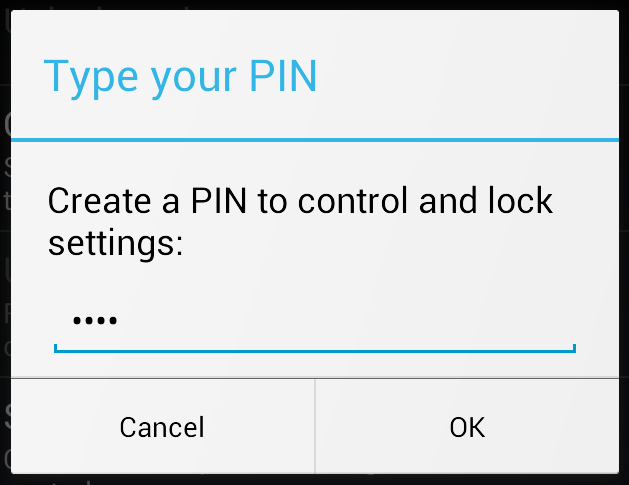 Since there are a variety of ways to setup parental controls in Android, these directions are written based upon a child that is less than 13 years of age and the parent is choosing to follow the rules of the Children’s Online Privacy Protection Act (COPPA), a Federal Law to protect the tracking of children on the Internet under the age of 13. Reason why: This is the core parental restrictions opportunity for the parent. This is where he can restrict to age appropriate apps. Edit the allowed content to what the parent considers appropriate for the child. Reasons why: By default, Android provides advertisers with the ability to track the device and send targeted ads to the device called AdMob. If the parent does not uncheck the AdMob personalization, he is agreeing to the default terms of service from Google that he is allowing his child to be tracked by advertisers therefore disregarding the COPPA law. Select “Settings” icon (looks like a bunch of gears) and scroll to “Other”. 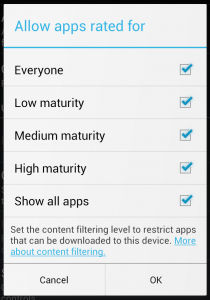 Reason why: To prevent the child from making changes to the settings in Google Play. Select “Settings” icon (looks like a bunch of gears) and scroll to “Set or Change PIN”. Select a passcode that will not be shared with the child. 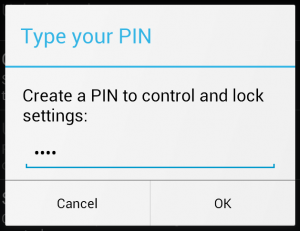 Following all the above listed steps provide some basic parental controls within Android that will give you control of most of the basic operating system. 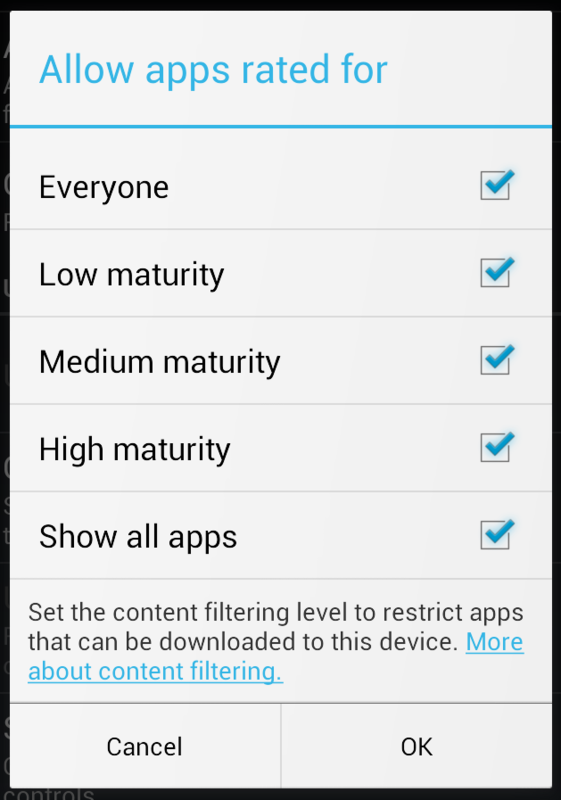 One of the advantages of Android over iOS is the ability to use third party parental controls. If the parent would like to add even more functionality, see the resources below for some recommended apps. I have tried a few different parental control apps, which I did not find to be very beneficial to me. I did finally find a wonderful parental control app that does everything I need and is very user-friendly. I now use Familoop Safeguard for Android (https://www.familoop.com ) I manage all my protection settings and feature restriction right from my Android device – I only need Internet connection to get my restrictions applied on all my devices that my son has access to. It’s great because it filters web pages, blocks apps, collects information about visited and blocked websites for my review. I highly recommend this parental control app!